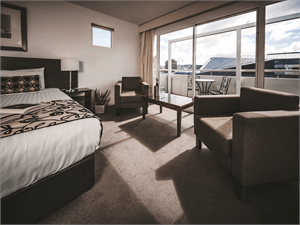 The Travelodge is centrally located in the heart of Hobart's CBD and a great base to explore local attractions. 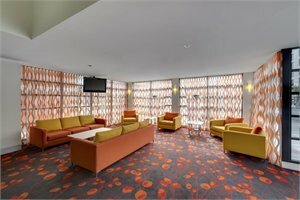 Enjoy views overlooking beautiful Mt Wellington and Hobart city. Take a leisurely walk to local restaurants, cafes, shopping spots, Hobart's waterfront and the iconic Salamanca Place. NOTE: Room is based on 1 Double Room. Includes: 1 FREE night for stays 1 Apr - 4 Apr 19, 8 Apr - 11 Apr 19, 13 Apr - 18 Apr 19 & 22 Apr - 30 Sep 19 (already included in the price). 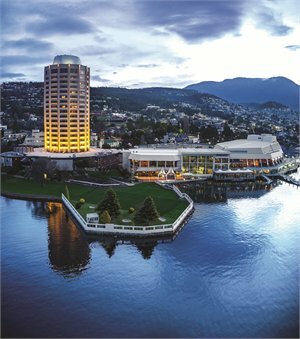 Wrest Point offers hotel style accommodation, fine dining and a perfect waterfront location on the Derwent River. Wrest Point is the perfect choice for a memorable stay in Hobart. 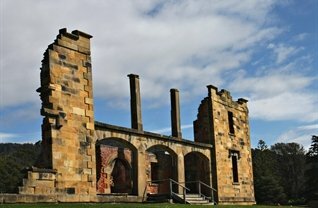 Explore the local area including Salamanca Place and Mona or venture further afield to Port Arthur or Bruny Island. Ideally located on the eastern end of Salamanca Place - home to the famous Salamanca Markets, and is close to a selection of Hobart's restaurants, bars and galleries. It's situated in historic Sullivan's Cove and is walking distance to the waterfront, MONA ferry terminal, historic Battery Point and the CBD. Restaurant and bar service is available at the nearby Lenna of Hobart. NOTE: Room is based on 1 King Split Bed. Rates are based on Innkeepers Premium Hotels Pass. Begin this compact tour of Tasmania with a city tour of Hobart, including Mt Wellington, before heading down the Tasman Peninsula to historic Port Arthur. The following day, tour the site and enjoy a harbour cruise. 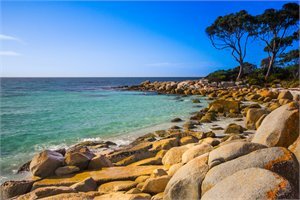 Continue north via a lovely east coast drive with scenic stops at Raspins Beach and Spikey Bridge before arriving in the town of Bicheno for some evening penguin viewings. Visit a wildlife nature park to see Tasmania's cutest native, the Tassie devil. Continue to Launceston, enjoying stops at St Helens, Binalong Bay and Bay of Fires. In Launceston, spend time at Cataract Gorge before continuing to Marakoopa Caves and finally Cradle Mountain. Explore Dove Lake before travelling to Queenstown via Roseberry and Strahan. 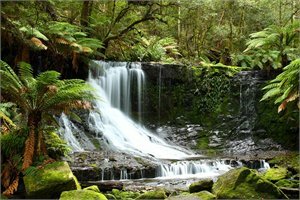 Before returning to Hobart, stop on Nelson Falls, Russell Falls and Mt Field National Park. This tour is a small group tour with a maximum 15 travellers. Minimum numbers required for the tour to operate. Get to know Tasmania’s capital, Hobart, including Battery Point, Salamanca Place, Constitution Dock and enjoy incredible views from Mt Nelson. Head to the beautiful Mt Field, location of Russell Falls. Travel through Queenstown to Lake St Clair, arriving into Strahan. Enjoy a cruise of the Gordon River before continuing to Cradle Mountain. Explore this magnificent and iconic national park before the tour continues to Stanley to see The Nut. Overnight in Smithton, before continuing to Launceston via the Tarkine Wilderness and Ashgrove Cheese Factory. Enjoy a guided tour of the Beaconsfield Mine and Heritage Centre before the tour concludes in Launceston. Drive from Hobart along the scenic East Coast to Freycinet National Park. Walk to the Wineglass Bay lookout for those world famous views and stunning photo opportunities. Returning from the lookout, enjoy a lunch break at Honeymoon Bay. Walk the Cape Tourville Lighthouse circuit and visit Sleepy Bay. Before returning to Hobart, stop for some fresh oysters and visit Kate’s Berry Farm. Cruise down the Derwent River to the beautiful Peppermint Bay Hotel. Overlooking the picturesque Bruny Island, the food is as good as the view, with a focus on fresh and seasonal produce, local wines and stellar service. Experience the beautiful D’Entrecasteaux Channel on the Peppermint Bay Lunch Cruise. Minimum numbers required for the cruise to operate. Leaving Hobart, fly over the eastern shore of the Derwent River and take in magnificent views of Tasman Bridge, Hobart city and Mt Wellington. Heading north, begin to track the Coal River Valley before landing on the front lawn of Frogmore Creek Winery – one of Tasmania’s best wineries. Enjoy a relaxing lunch with wine, overlooking the vineyard before the transfer back to Hobart. 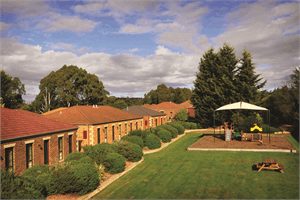 Comfortable self-contained accommodation with easy access to the Country Club Tasmania. Surrounded by natural bush, parklands, lakes and an international standard golf course, Country Club Tasmania is a true country retreat just a few minutes from Tasmanias northern city, Launceston. 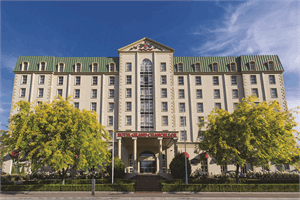 Hotel Grand Chancellor Launceston is centrally located in picturesque and quaint Launceston only a short stroll from the main shopping precinct, public gardens and other city features. NOTE: Room is based on 1 King Bed. Join this active day tour exploring the walking trails of Cradle Mountain. With around five hours in the national park, choose from easy grade to challenging walks. Observe Cradle Mountain wombats and learn about local history with a visit to Weindorfer’s Chalet. Enjoy a stop at Ashgrove Cheese Farm to sample local dairy products. 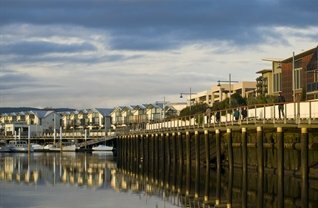 Cruise past historical Kings Wharf, Seaport and Launceston’s delightful riverfront precinct. The highlight of the experience is cruising into Launceston’s spectacular Cataract Gorge. NOTE: Pricing displayed is a per vehicle per day cost based on a 5 day hire. Other vehicles and longer rental car hire are available, price on application. Rental car is to be picked up/dropped off at an airport location: Wynyard Airport, Hobart Airport, Launceston Airport, Devonport Airport. Rental car must be returned by the same time as it was picked up to avoid any additional charges. Rental car inclusions: Unlimited kilometres, GST, Administration Fee, Loss Damage Waiver (LDW) and Excess Reduction, Vehicle Registration Fee (VRF) and Concession Recovery Fee (CRF) / Premium Location Surcharge (PLS). Rental car exclusions: Bond, Fuel, Age Surcharge, Tolls, one way Fees, additional driver fee, Miscellaneous Fees and Surcharges, Optional extras and tax on all payable direct items. All standard Avis terms and conditions apply. 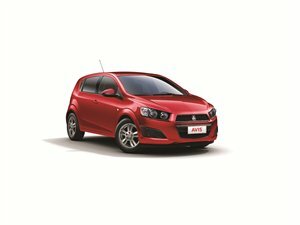 Car displayed is an economy - Holden Barina or similar. PACKAGE TERMS & CONDITIONS: It is our policy to present the cost of our holidays inclusive of all airport and government charges. Please accept however that these charges are not within our control, therefore we reserve the right to pass on any increase.. Travel agent professional service fees where charged, will be additional to the advertised prices. Valid for sales to 31 Jul 2019. Valid for travel commenced and completed within the period 24 Apr 2019 to 31 Mar 2020 (unless otherwise specified).Based on consecutive nights. Airfares, transfers, rental car and any add ons are additional, unless specified. Minimum numbers required for the tour/cruise to operate. Please note there is limited availability on the advertised room types and all pricing is subject to change until a reservation is confirmed. Inventory & availability can change on a daily basis. Strictly subject to availability. Prices shown are based on per person costs in New Zealand Dollars, for payment by cash, cheque or eftpos only. Credit card sales not permitted unless Travel Agent acts as a merchant. Events beyond our control such as currency fluctuations and changes to the price of aviation fuel may result in prices variations . Strict cancellation fees apply. For split stays please contact your travel consultant. For full terms and conditions and cancellation fees please contact your local travel agent for more information. Trade enquiries via GO Holidays.